I NEED to do whatever it takes to ensure the team delivers now and in the future. I take responsibility for the team and their results. I track and communicate the real state of the team and their results. 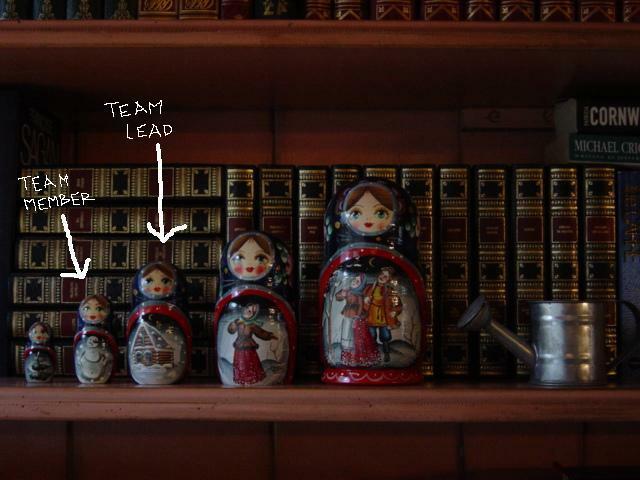 The entry 'The Role of an Agile Team Lead' was posted on April 21st, 2009 at 3:00 pm	and last modified on April 25th, 2009 at 6:44 pm, and is filed under Coach's Log, Team. You can follow any responses to this entry through the RSS 2.0 feed. You can leave a response, or trackback from your own site.